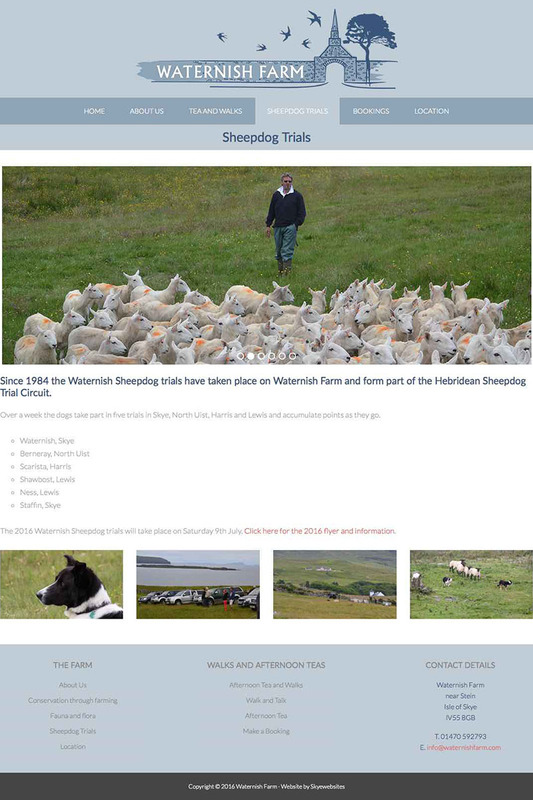 Waternish Farm, situated in the North West end of the Isle of Skye, is a new tourism venture which offers visitors the opportunity to take guided walks around the farm, observing the carefully preserved fauna and flora on the grounds, taking in the view and finding out about conservation through farming. Guests can also choose to have afternoon tea in the farmhouse with wonderful views of the Outer Hebrides. 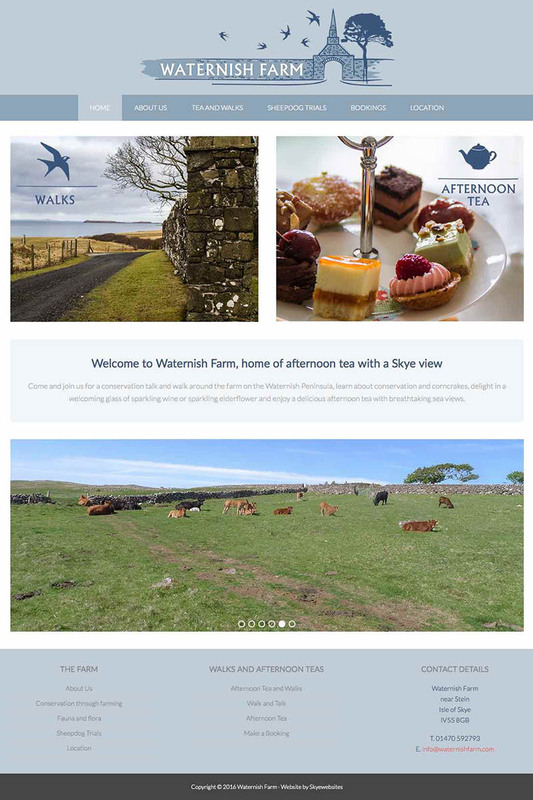 The owners approached us to create a bespoke site which offered a glimpse of the views and the environment as well as design an inviting and friendly logo to reflect the feel of the Farm walks. The logo reflects a key architectural detail of the farm, as well as depicting the towering trees and range of birds which can be seen in this environment. The road into the farm creates a sense of enticement, as though visitors are being invited in to explore. The blue colour was chosen in line with local favourite colours and represents the presence of the sea. The site design reflects the theme of inviting people in for a glimpse of things to come, with some tantalising shots of the views, the flora and fauna, and the delicious cakes on offer. All of this is offered within comfortable and friendly surroundings. The website was designed using the WordPress content management system for ease of use and to allow for ongoing updates, enabling its use across mobile and desktop media. A booking function was also added to the site to help visitors book their guided walks online, easily and smoothly.